On this day, October 31, 2017, it is pleasing for me to post on the Internet this Thesis that tries to outline the cascade of errors that--inadvertently--flowed from Martin Luther's 95 Theses, which are believed to have been affixed onto the door of the Cathedral at Wittenberg on this very day 500 years ago. Martin Luther was well aware of the pitfalls ahead. He was convinced that the changes we make seldom improve anything, and that the best we can do is only, paradoxically, to start all over again and again (Luther's Works 13:217, 25:478). 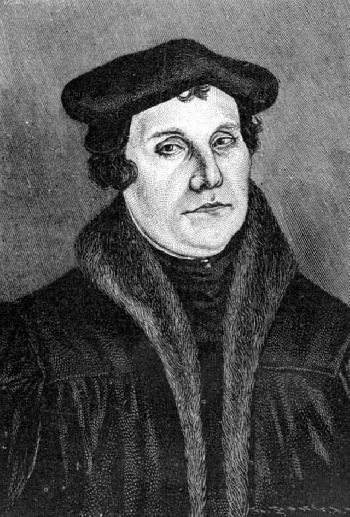 In fact, as rarely realized Luther's rejection of external authority and the Catholic Church's unwillingness/inability to answer each one of those Theses in order to (re-)establish the foundation of her moral authority eventually resulted in the separation of the actions of men and women from morality. In the following, I will shy away from theological controversies. 9. Since "I" am, who needs anyone or anything else?